Currently, we're struggling with formula. Wells had been drinking Similac Pro-Advance since he'd been born. It was recommended by and given to him at the hospital, he sucked it right down, and so we kept buying it. We mixed it with breastmilk for the first 6 weeks, then I stopped pumping, and he had been on just the formula for the last 7 or so weeks. Lately, it's been a lot of spit-up. He always seemed happy and smiley but just a lot of spit-up, especially since we started just formula instead of half formula/half pumped milk. This has just been annoying in a first-world way because it results in a lot of laundry and him wanting to eat all the time because he's losing half of what he eats. I also think it's probably why he's up twice a night to eat. So, long story short...I'm on the hunt for something new. I never, ever considered that he just didn't agree with the formula, because he never had any problems in the first several weeks. I did bring this up to the pediatrician at the 2 month appointment, and she said I could do whatever I wanted (helpful, right?) and gave me containers of the Similac Pro-Total Comfort to try. I started it yesterday and I hate the smell compared to the Pro-Advance, so I'm hoping that doesn't also bother him. We also have a sample of the Pro-Sensitive that I'll attempt if a week of the Pro-Total Comfort doesn't work. 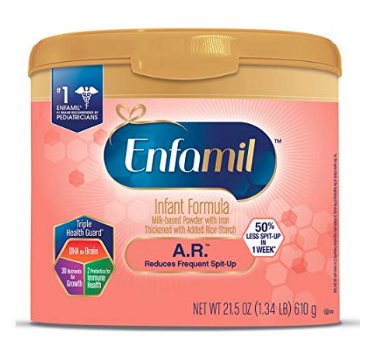 Then, if that's not doing it, I'll move onto Enfamil...this is the one the internet recommends. The hospital initially told us Similac or Enfamil are the best. They also told us to buy the premixed liquid if we could afford it because that's guaranteed to be sterile and the powder is not, at least for the first few months. I didn't hear the "if you can afford it" part because I think I was still half-traumatized by the hospital stay. I heard "use the premixed liquid for the first 3 months", which is why I never started with powdered formula until this week (Scott corrected this when I brought it up), and now I realize I probably could've been saving some $$$ because the premixed stuff is expensive ($8 a bottle at Wal-Mart is cheaper than the $10 a bottle on Amazon, though) and he drank close to a bottle a day. ANYWAY. This is what I've been thinking about all week. I'm still not sure how much of this is the formula not agreeing with him and how much of it is just him being a baby. What formula did you use, if you used formula? Why? We started Cyrus on some random European brand of formula Angel picked up from the store on the day he came home because I was so sick and he was so hungry...shortly afterwards the Ped recommended Enfamil Gentlease due to his fussiness, and that worked really well for a couple months. Then he started hating bottles, and since nursing got better, I stopped trying to figure out the bottle thing. when K was a baby, we used Enfamil Gentlease with no issue..she had issues with everything else (spit-up, really gassy etc). I also used Dr. Brown's bottles that's supposed to reduce air intake so maybe it was a combo of both that worked for K.
pretty sure that the manufacturers still allow signup for samples - you get a good amount, too...check around the sites and see what you can sign up for. 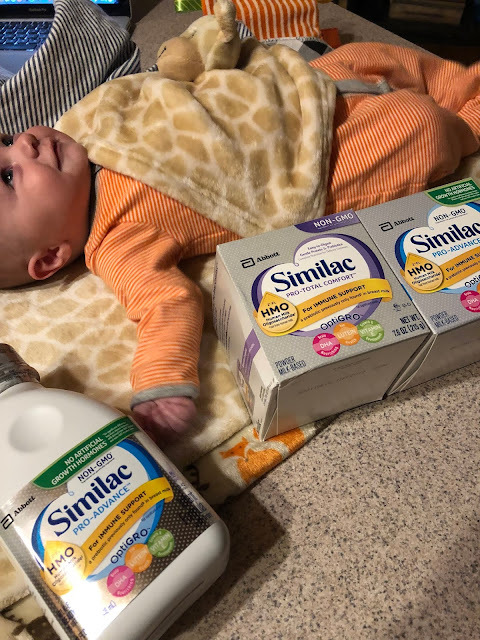 When Imogen was small, we used Similac Alimentum at the recommendation of our lactation consultant. We were suspicious of silent reflux, and that formula worked really well. Once her gut matured a bit, we slowly transitioned into using Enfamil Gentlease (I think around 6-7 months) and that’s what we stayed with until we weaned off formula completely. The Alimentum does stink, but she didn’t mind it. It’s also really expensive compared to other formulas, but it was worth it to me since she did so well on it (i bought the powder on Amazon because it was cheapest that way). E was on enfamil from birth and we had to change her to the sensitive one and after that she had no more issues. I hope you're able to get him on the right one. Hugs! Thanks for the tip! Enfamil is now on my shopping list! My sister has the same issue with one of the twins, and they both are on different formulas. She recommends Enfamil AR and Gentlease. 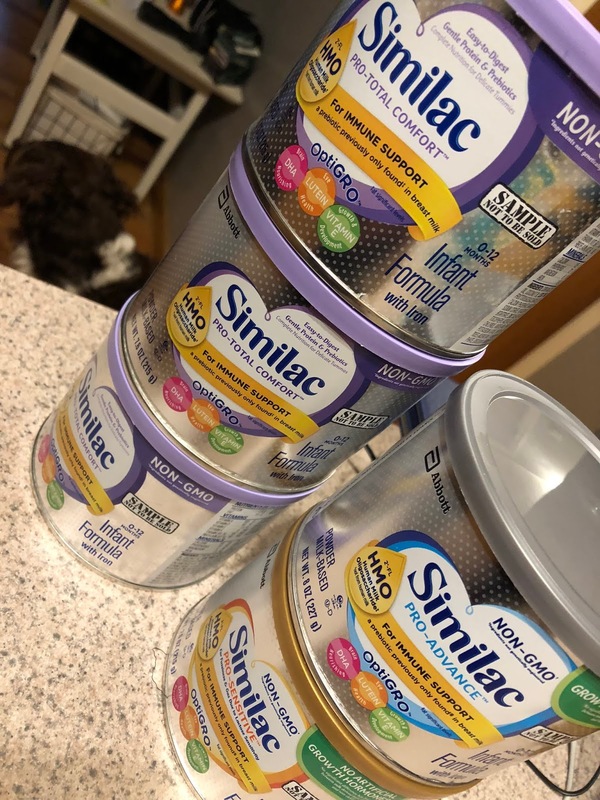 We used the Similac Sensitive (the orange one) because Alexander had stomach issues. My SIL had to go through 3-4 different formulas with my niece (5 months) until she found one that works best for her - Gerber Soothe, I think it is. I swear all babies are different. Good luck getting Wells on formula that works for him! If you go with powder, Prince Lionheart sells a formula mixer on Amazon that is hand-held and a lot like a milk frother that really mixes out all the lumps - its wonderful.